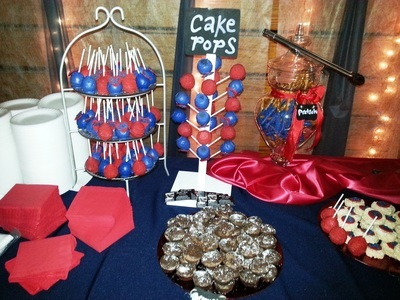 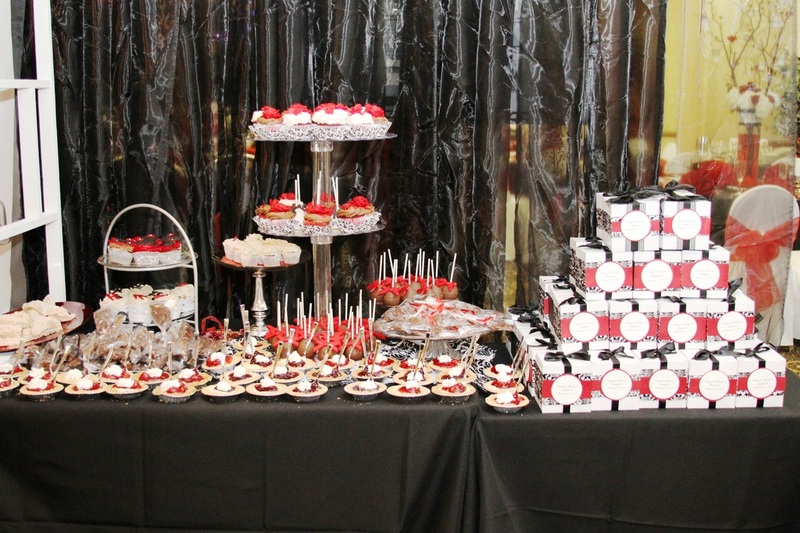 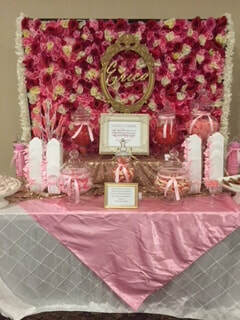 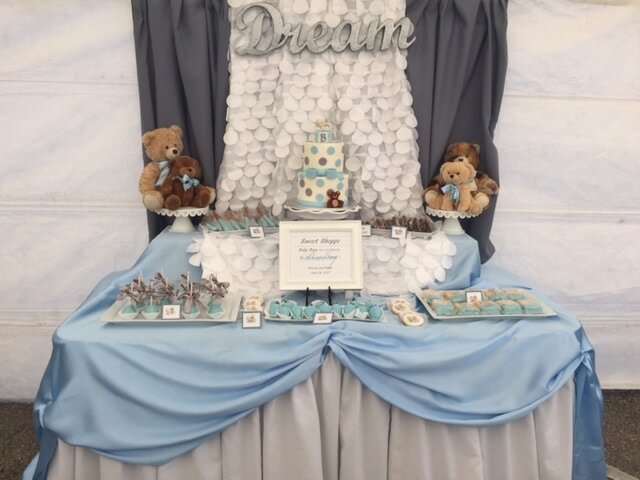 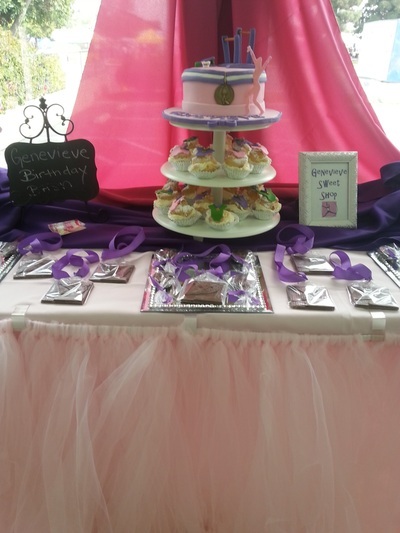 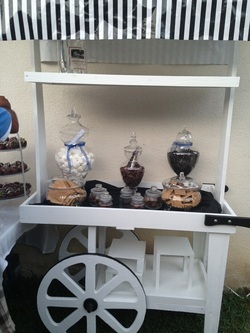 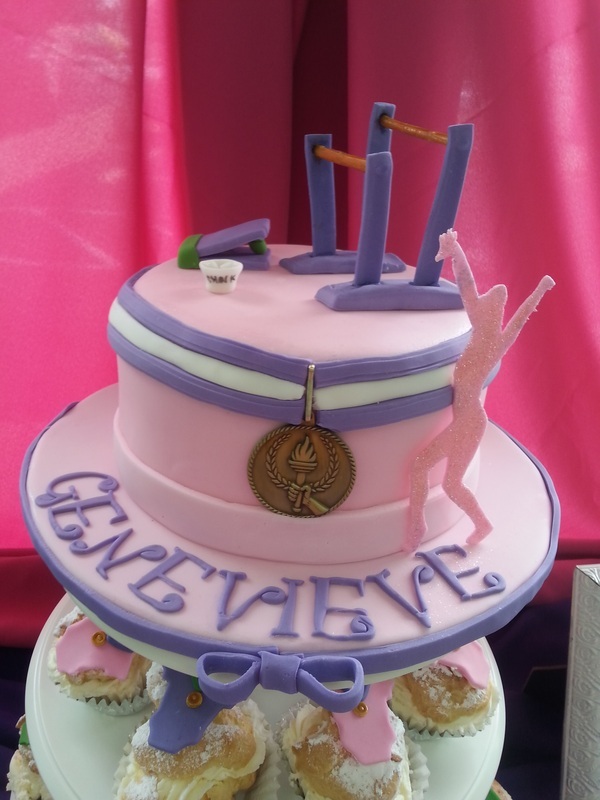 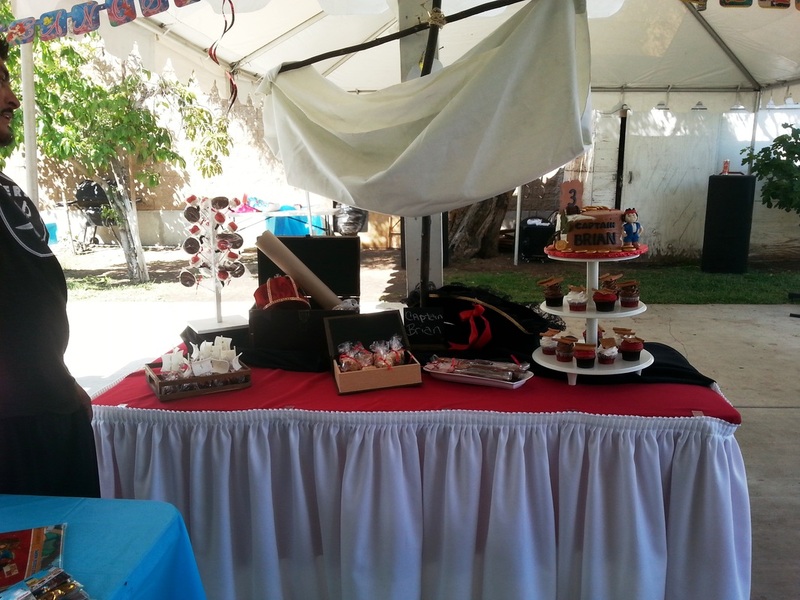 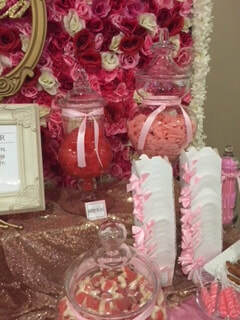 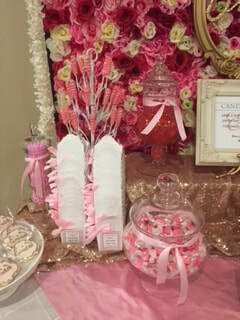 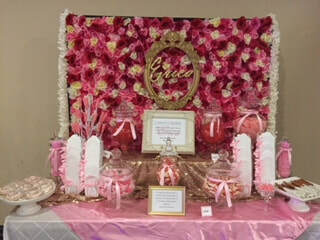 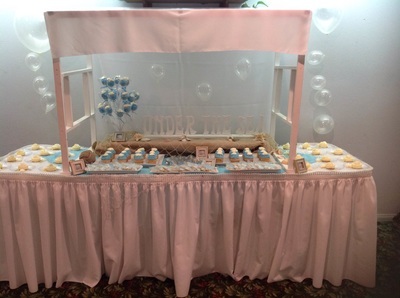 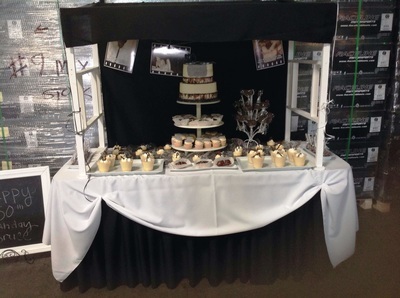 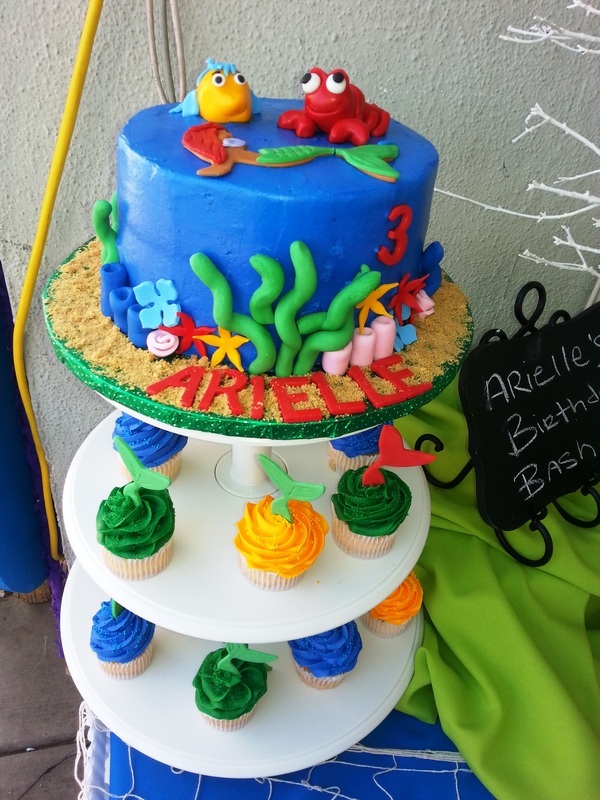 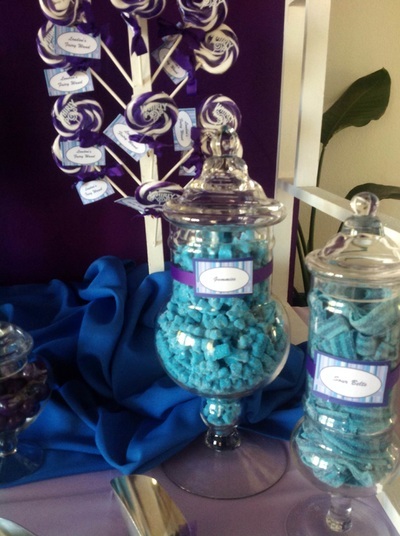 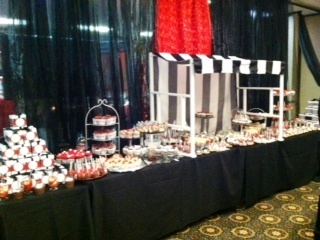 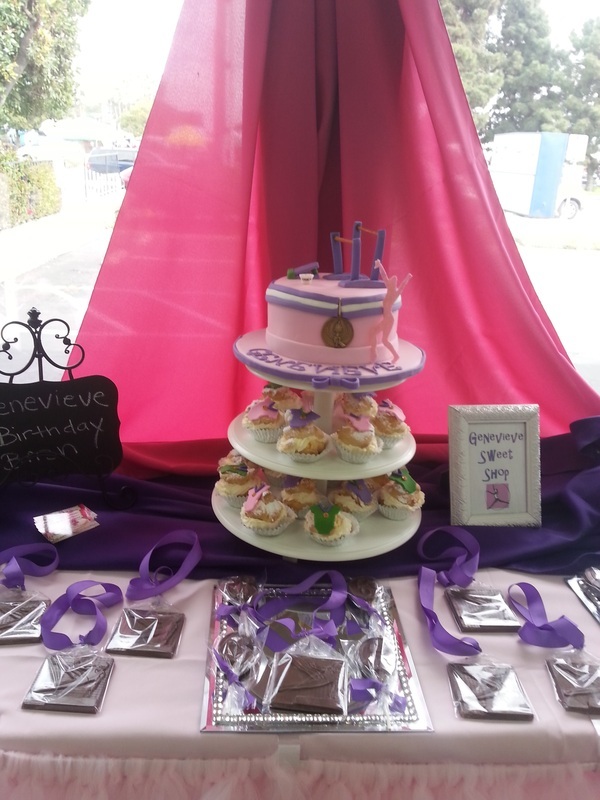 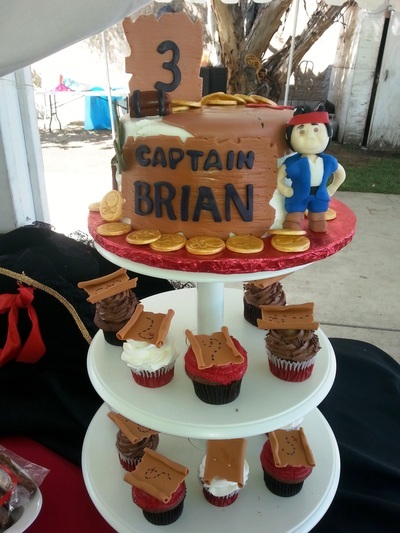 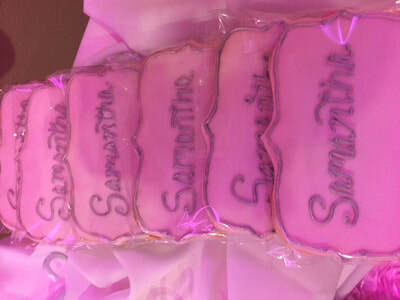 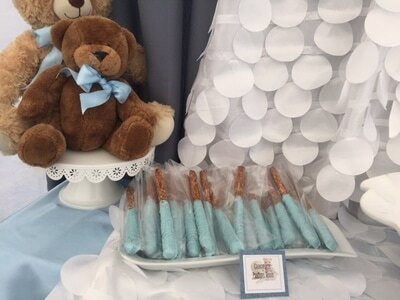 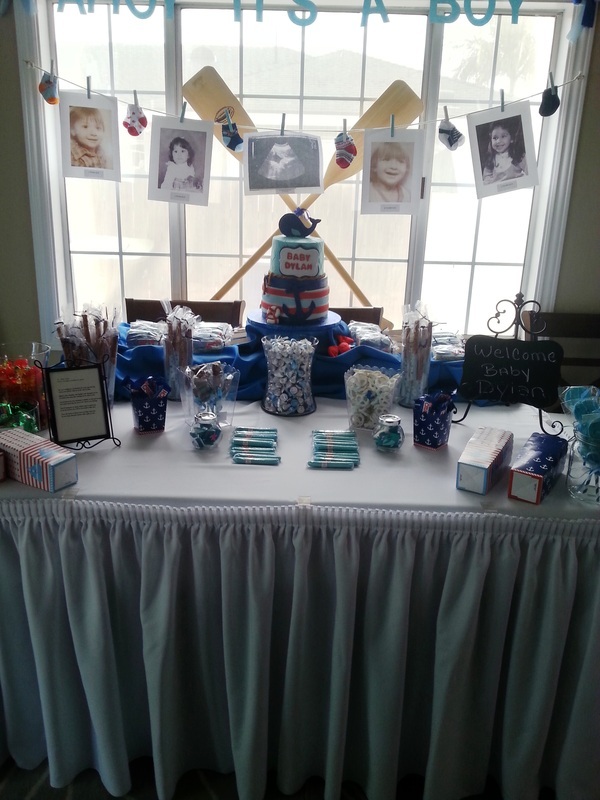 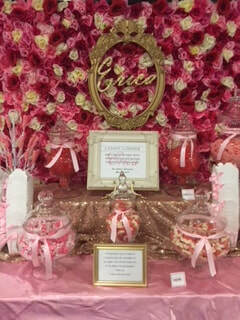 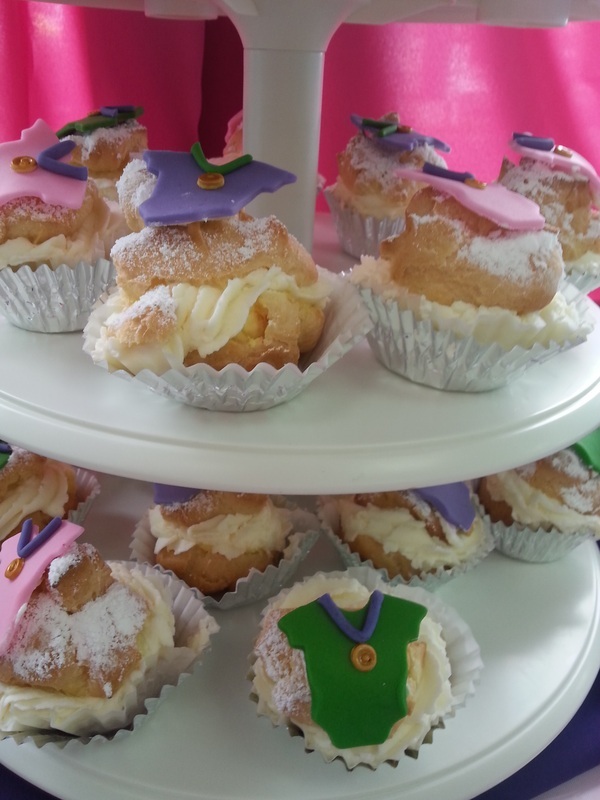 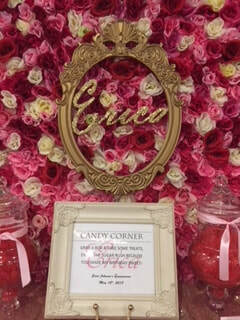 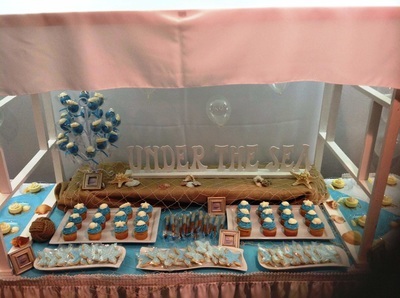 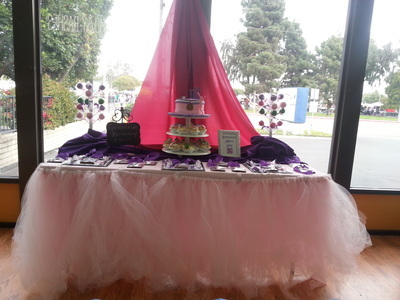 Let Cre8ive Cake and Candy design a one of a kind dessert buffet to fit your style and personality. 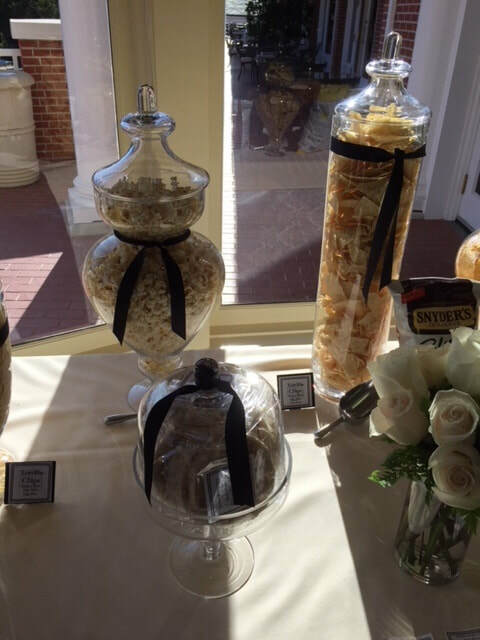 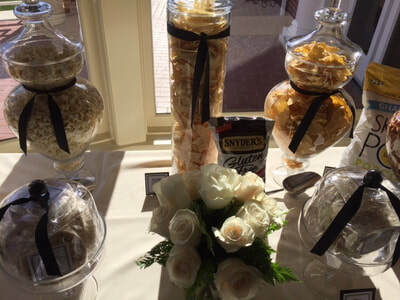 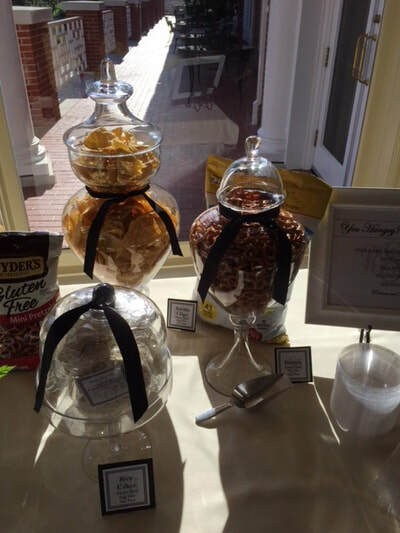 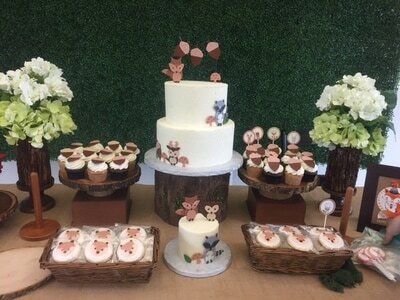 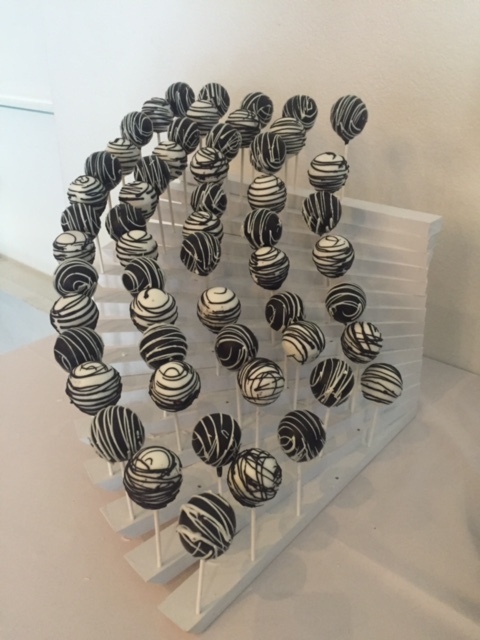 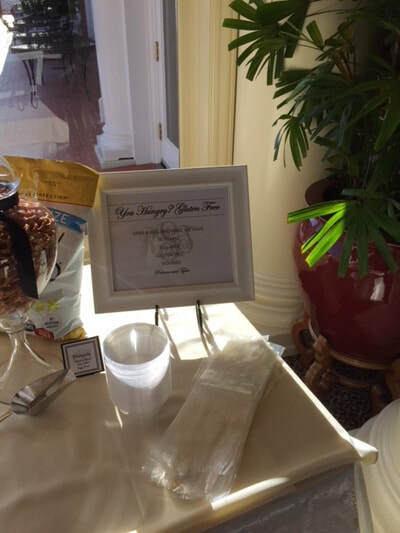 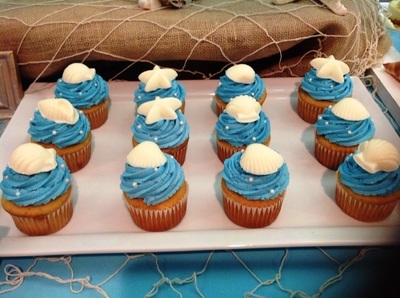 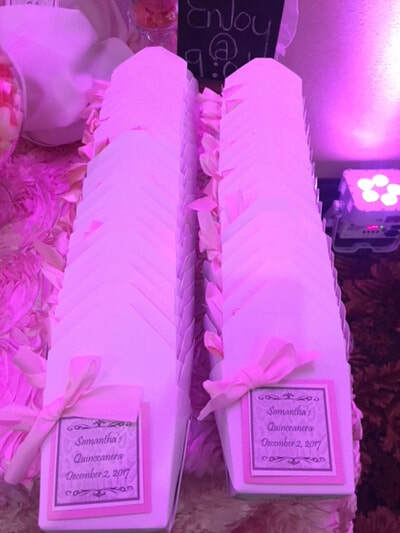 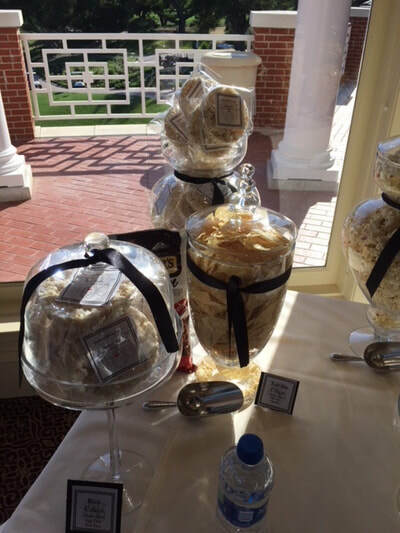 Each buffet is unique based on your event theme and are designed specifically for each client, incorporating your color palette and various design elements. 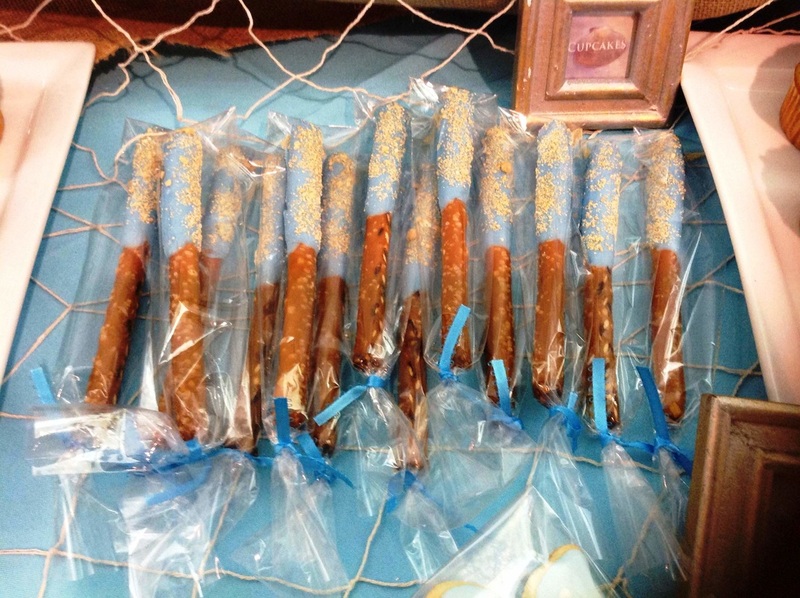 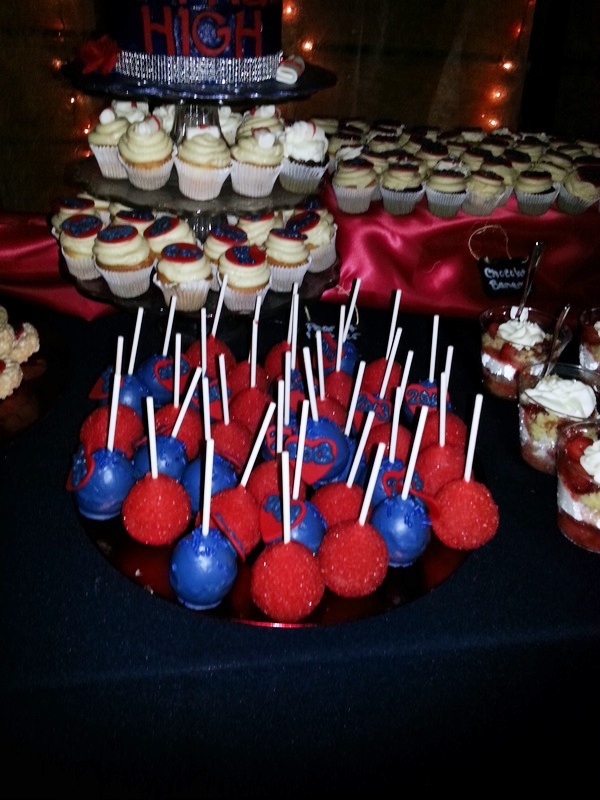 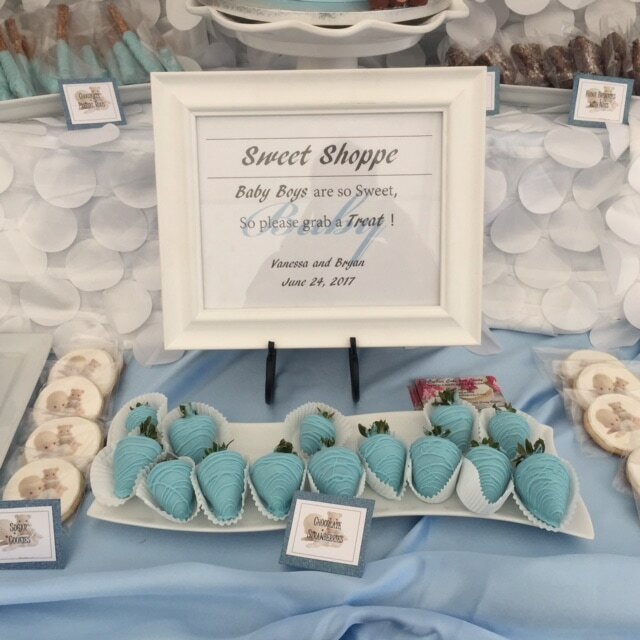 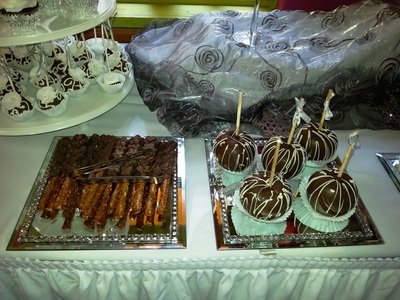 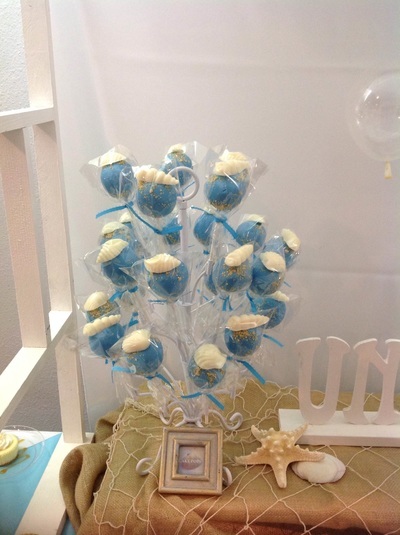 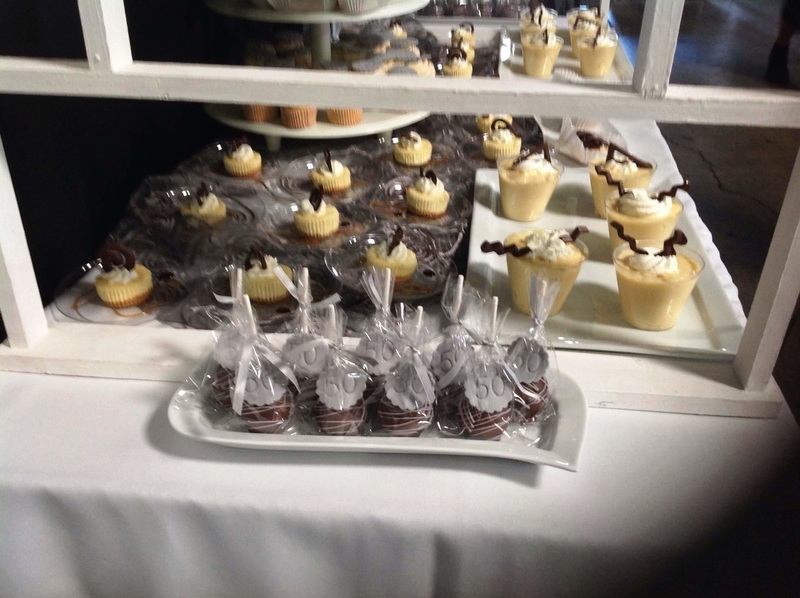 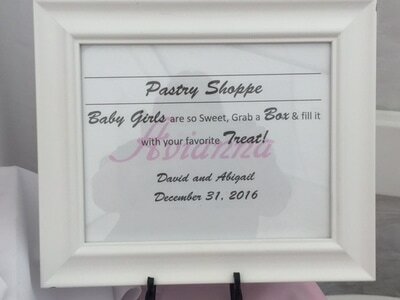 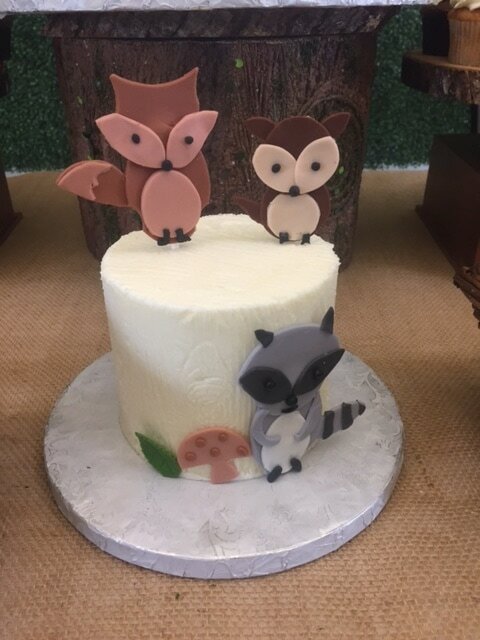 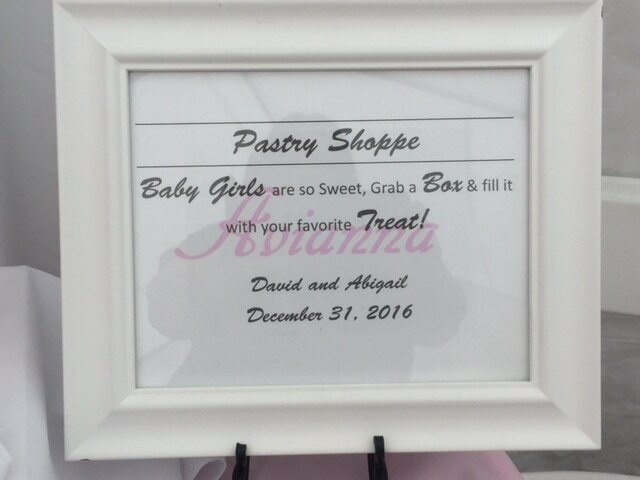 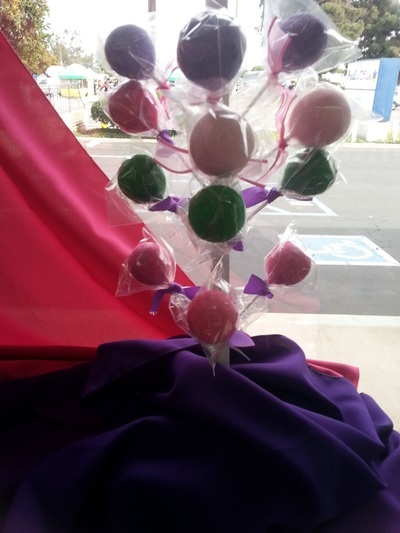 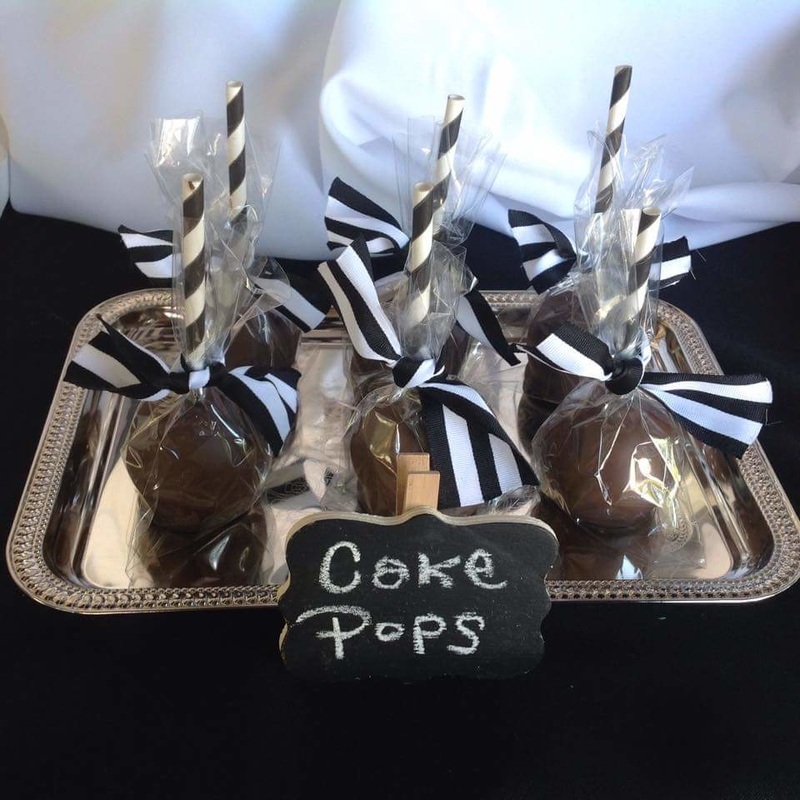 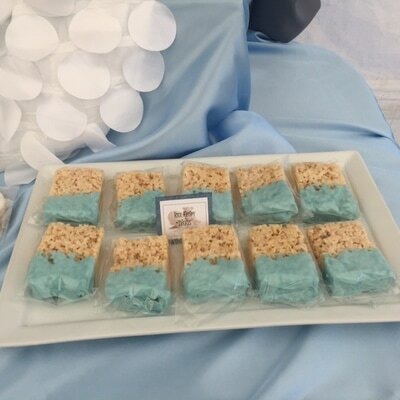 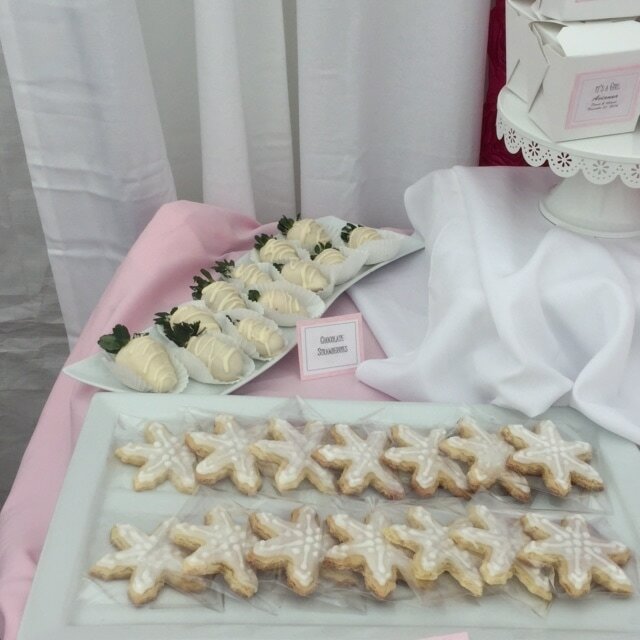 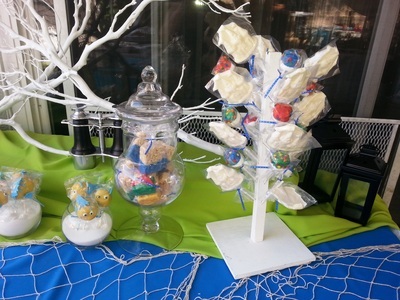 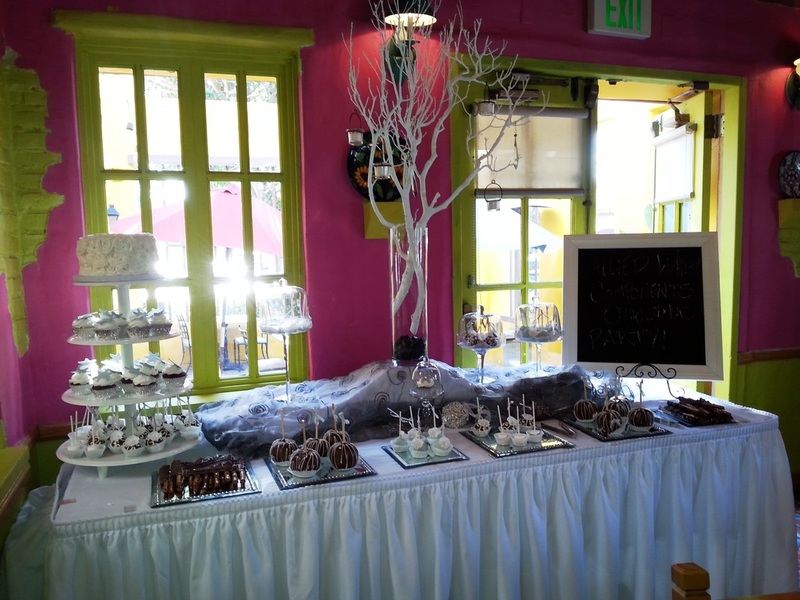 We offer a wide range of desserts, Chocolate dipped apples, Chocolate strawberries, cake pops, cookies, cheesecakes, marshmallow pops, fudge, cream puffs and so much more! 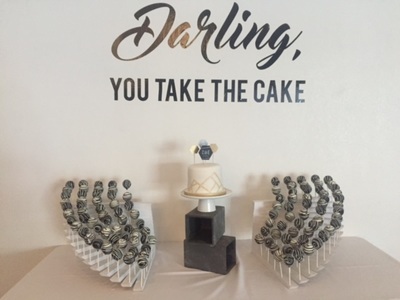 Please Note: Venues needing a certificate of liability insurance naming "Said Venue" as an additional insured is an additional $140.00 for processing fee with certificate. 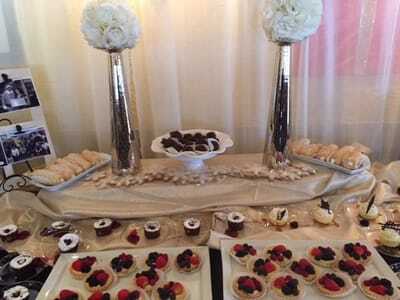 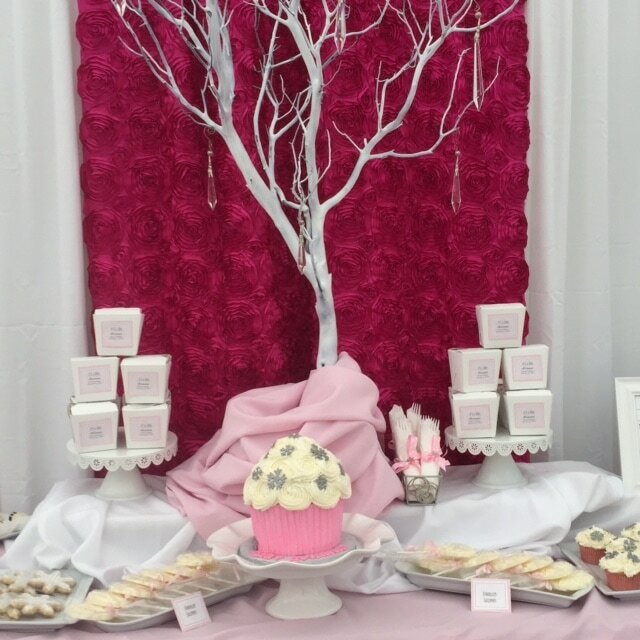 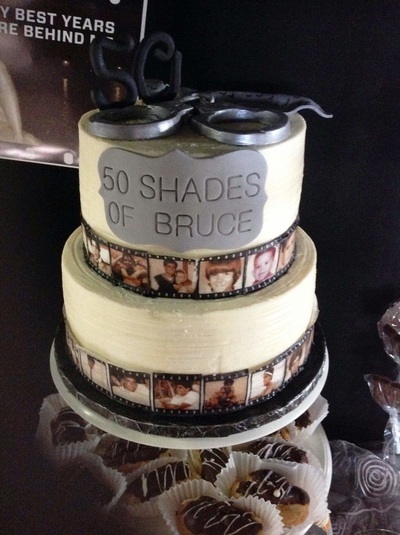 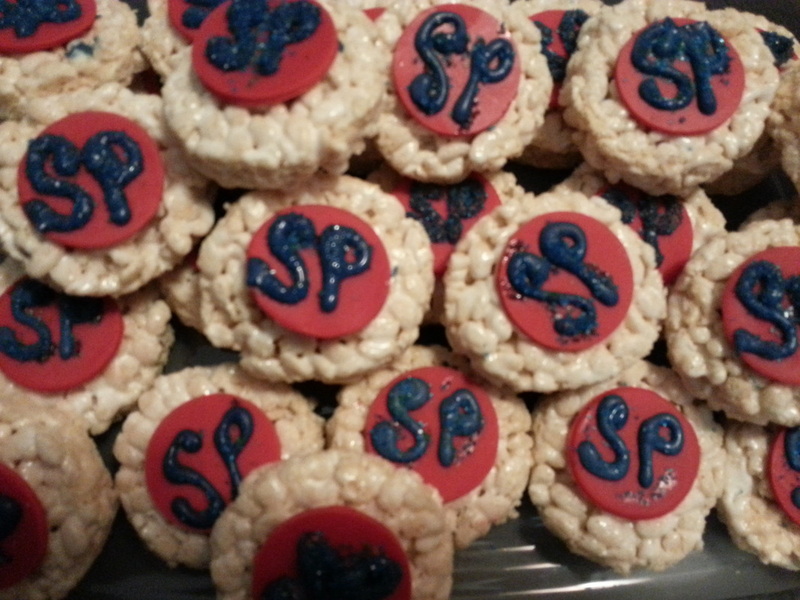 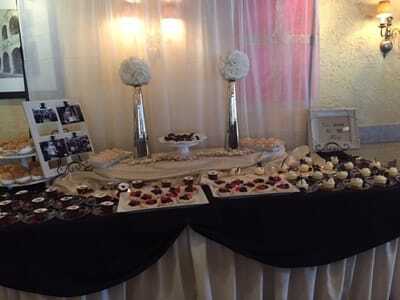 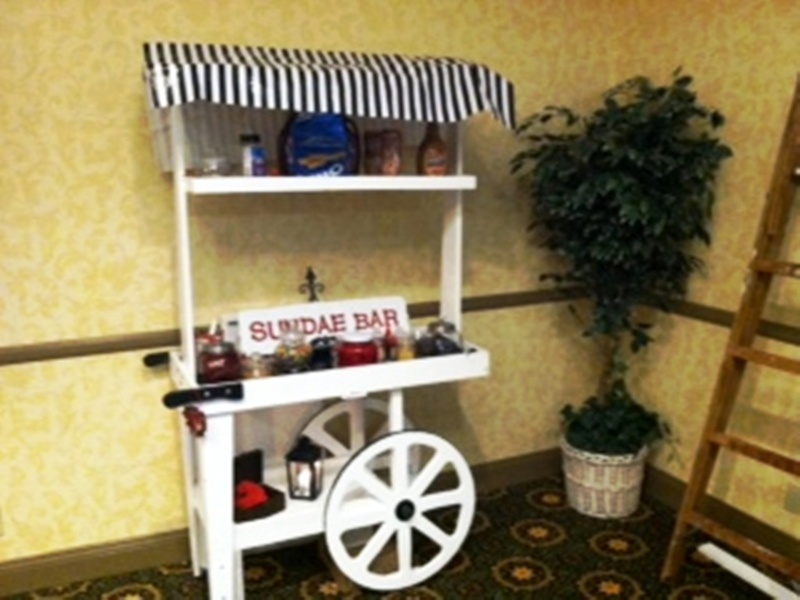 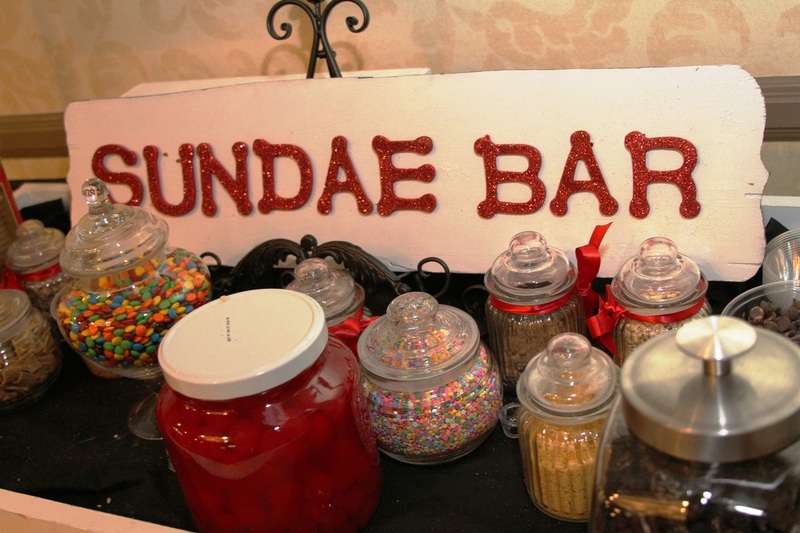 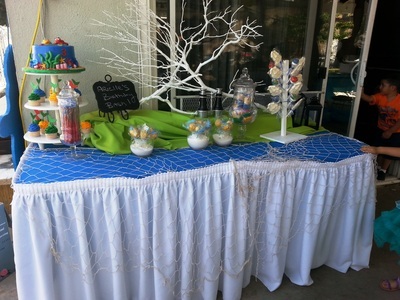 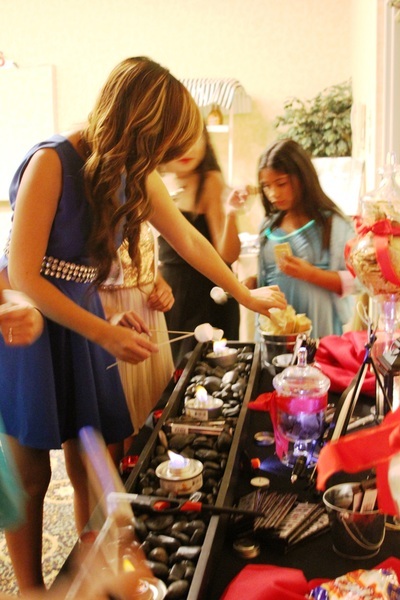 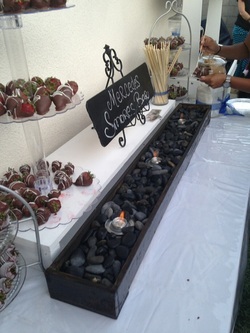 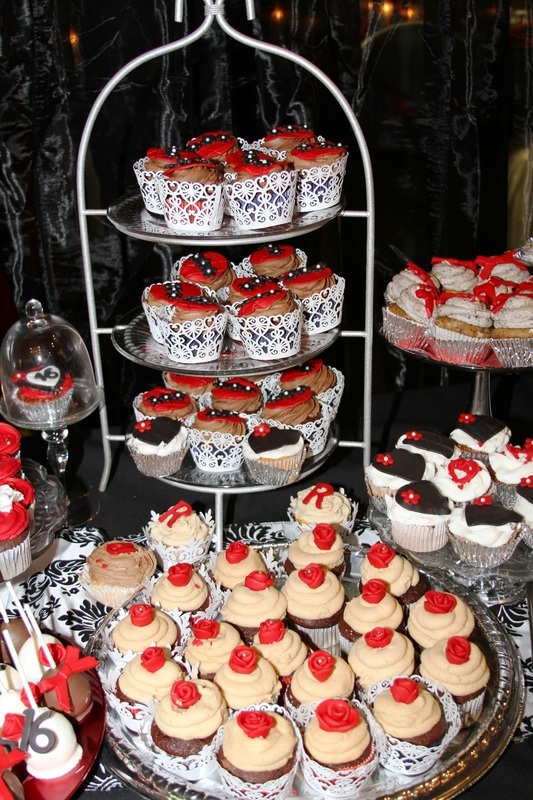 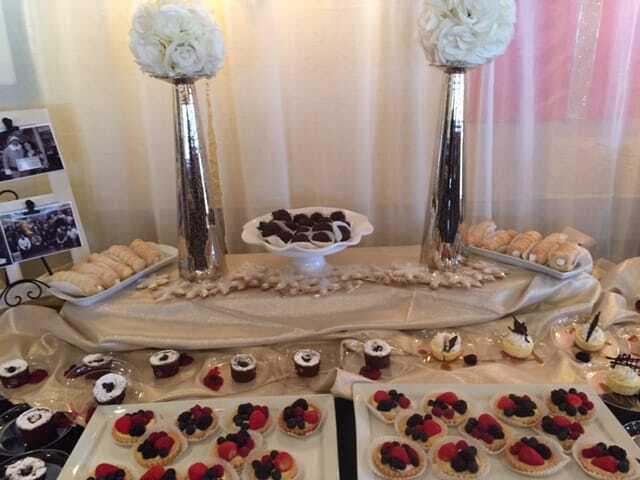 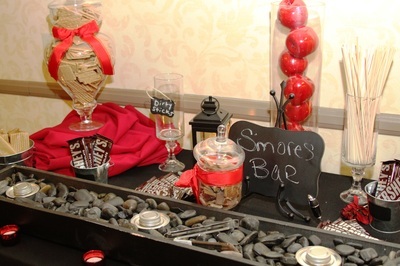 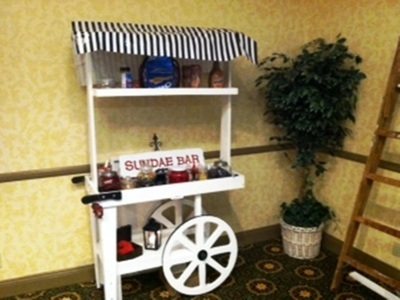 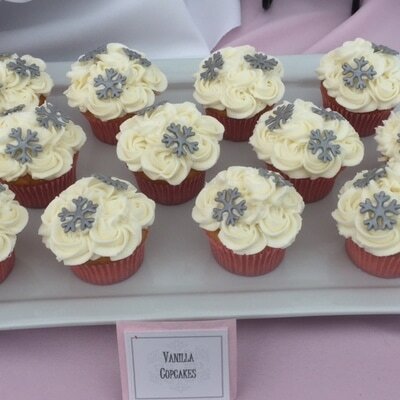 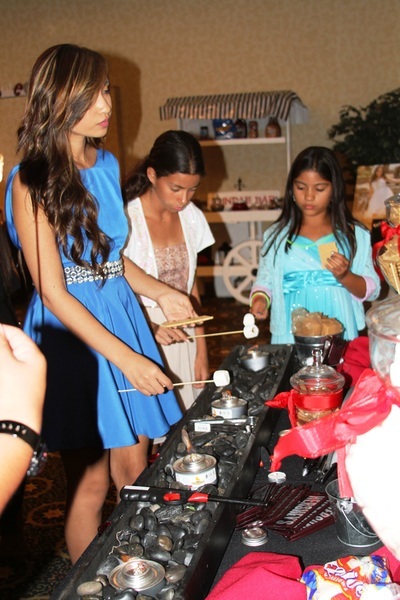 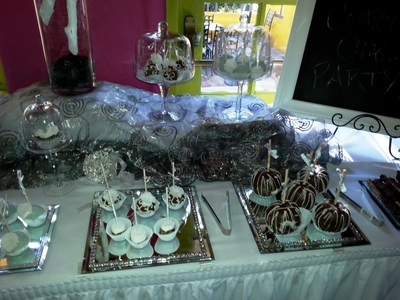 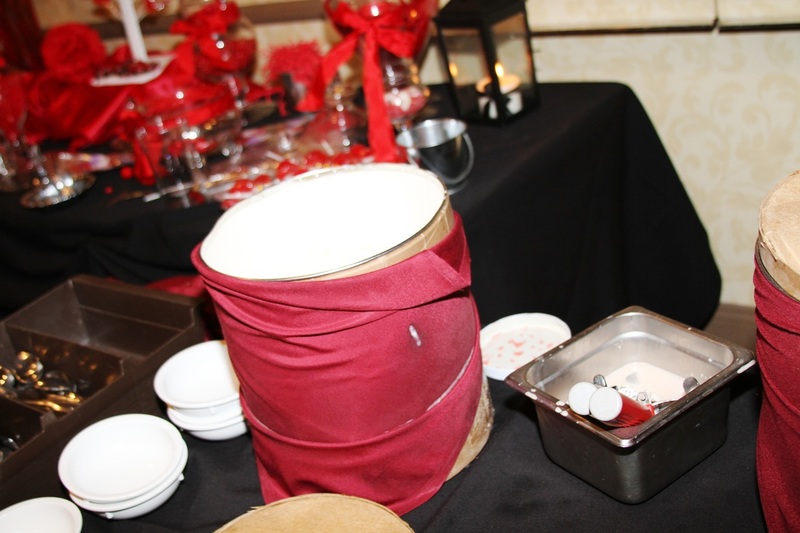 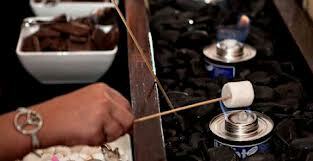 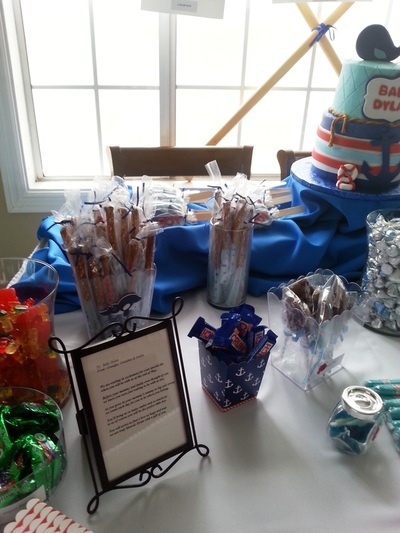 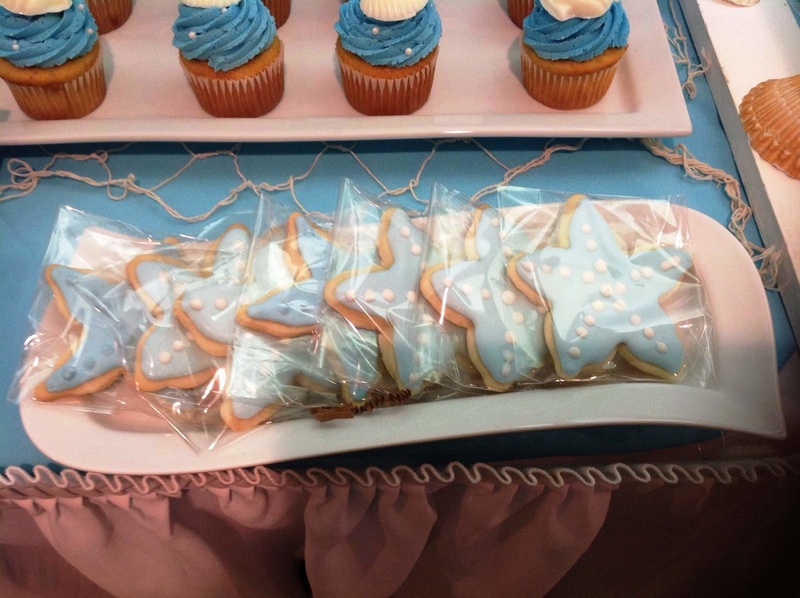 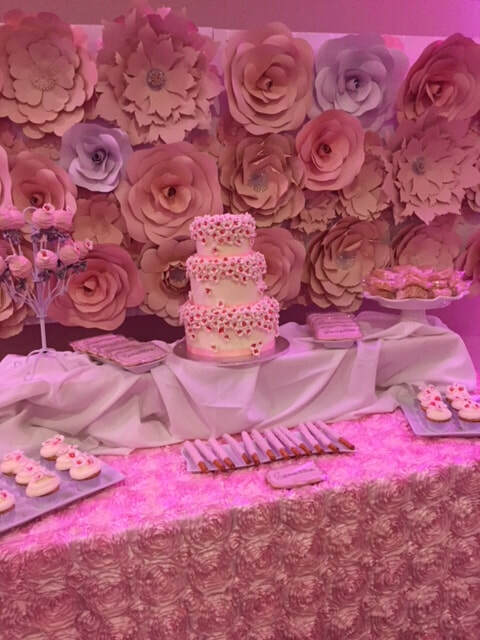 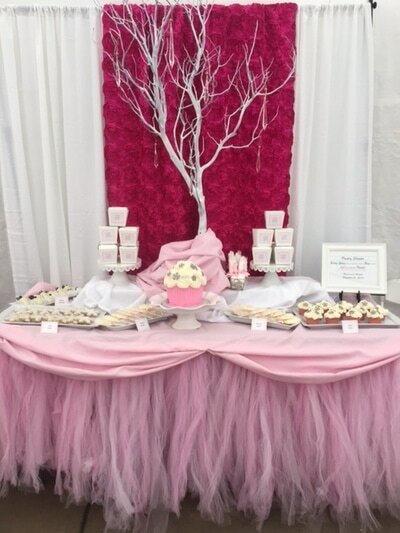 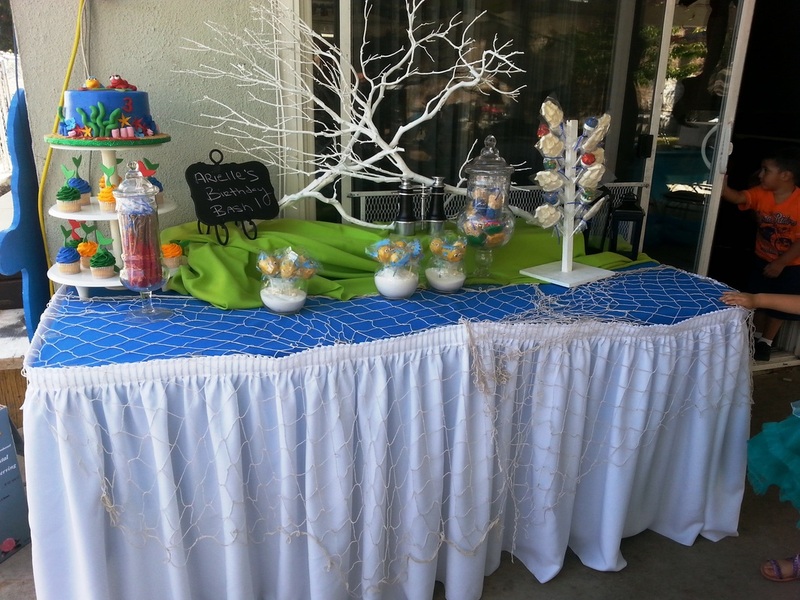 Dessert buffets need to be booked 3 weeks in advance and decor is included. 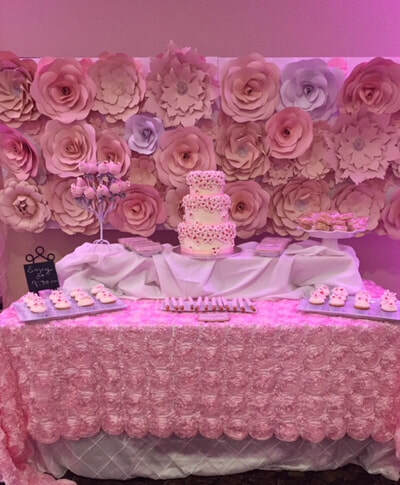 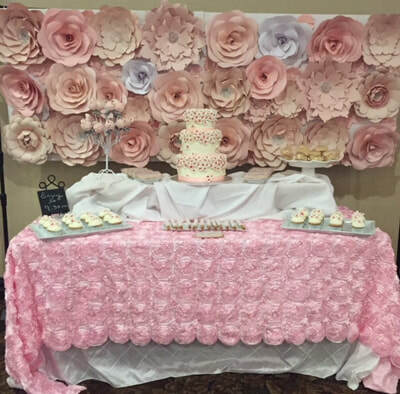 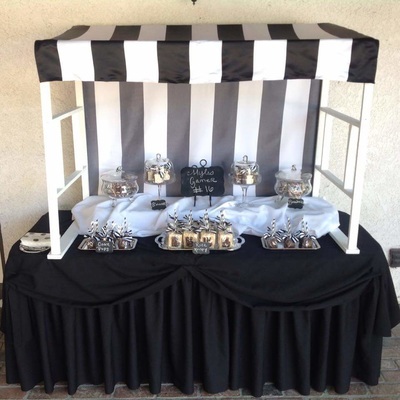 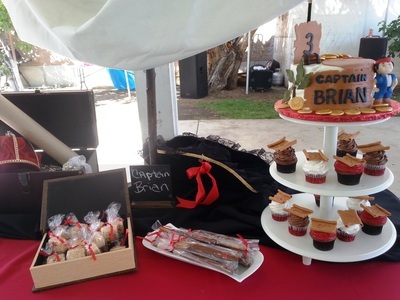 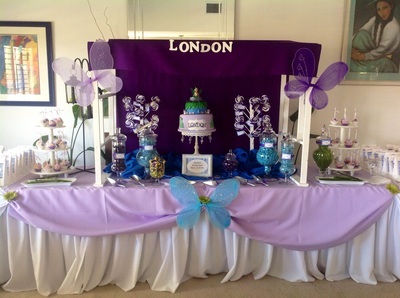 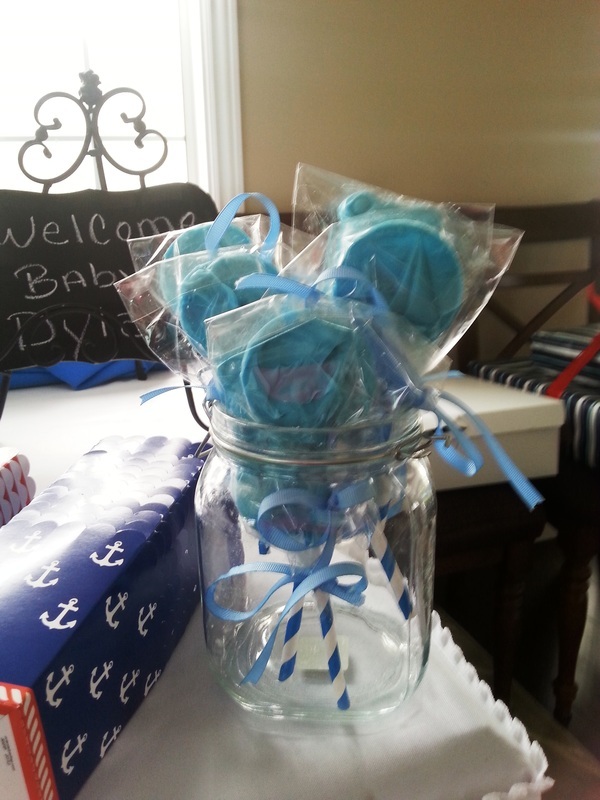 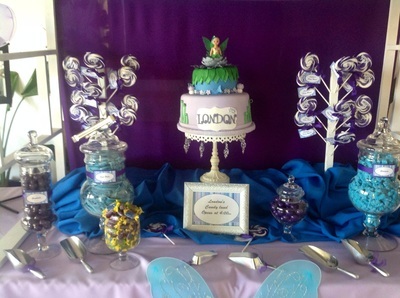 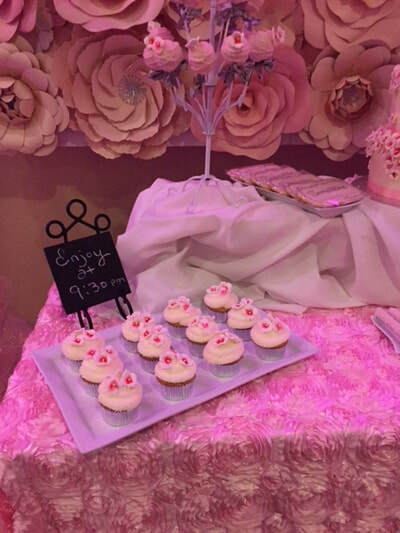 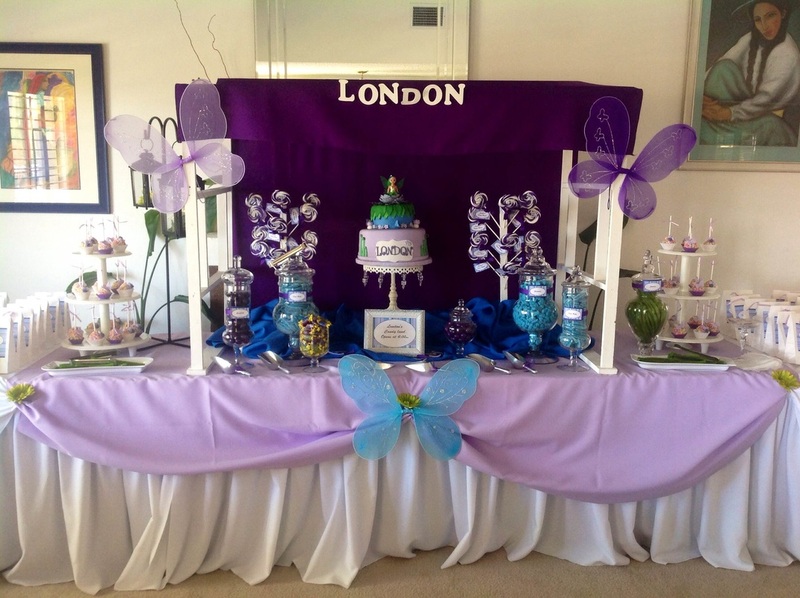 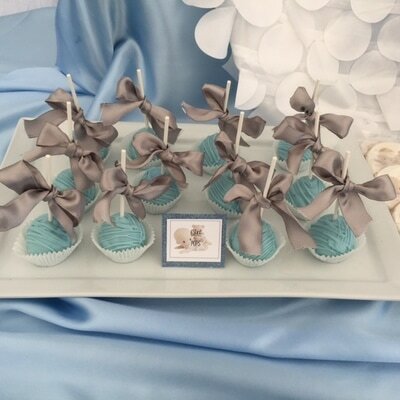 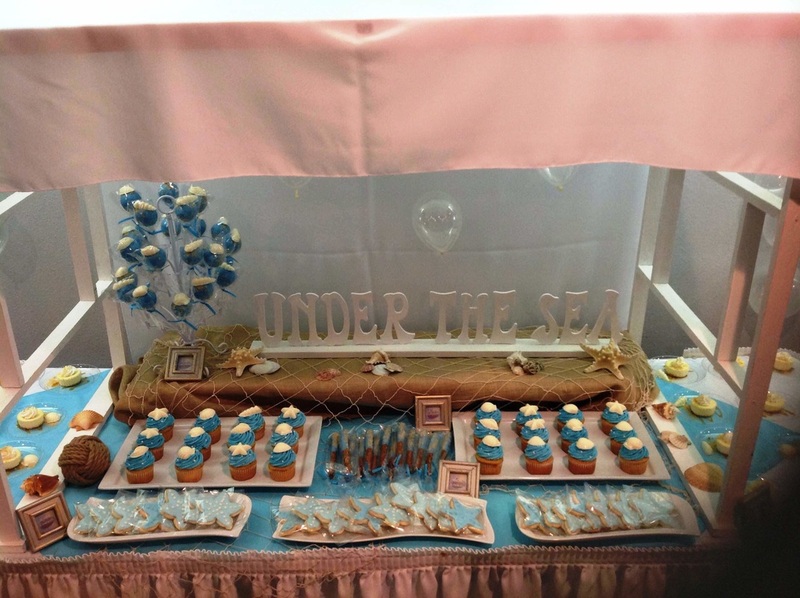 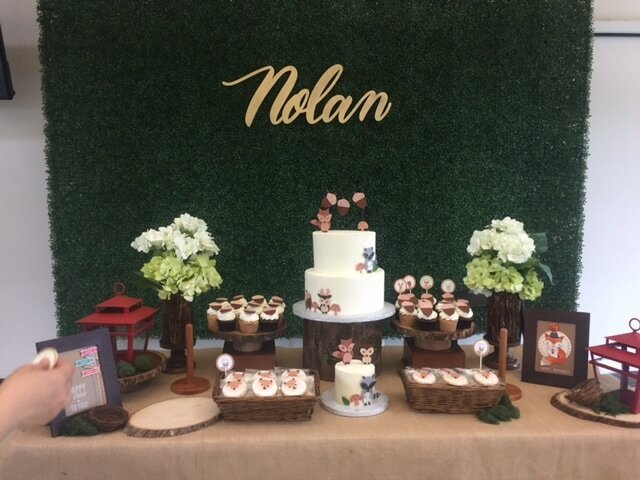 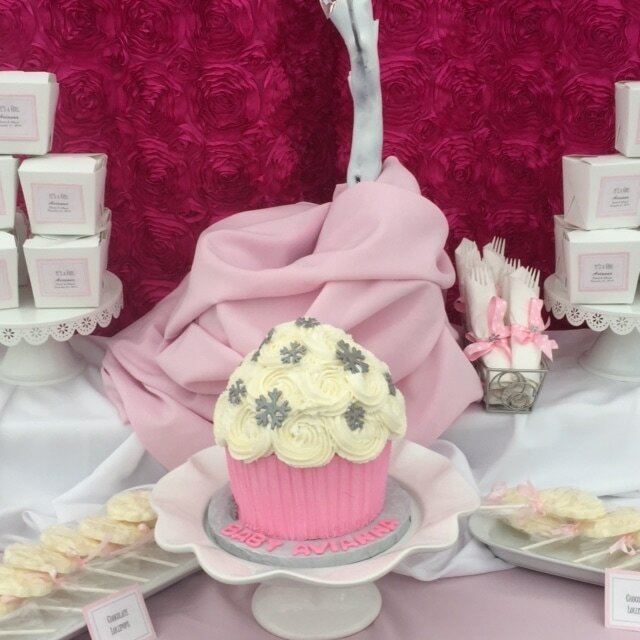 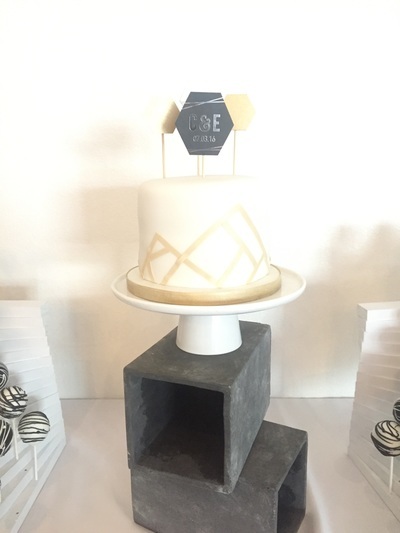 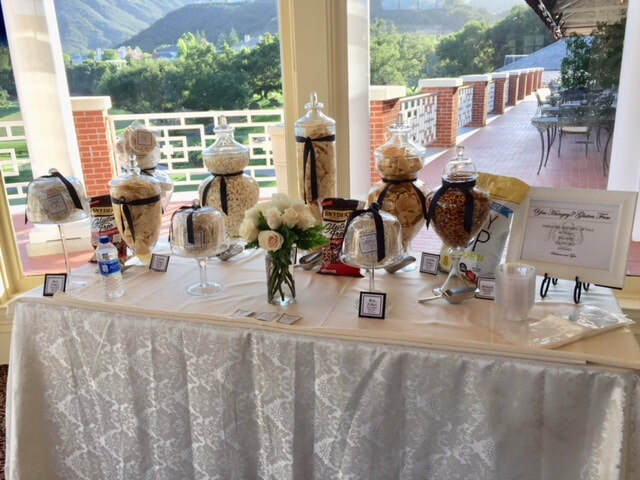 Cupcake towers, cake pop Stands, cake stands, platters, apothecary jars, and personalized signs and more can be incorporated to style your dessert presentation with no additional costs. 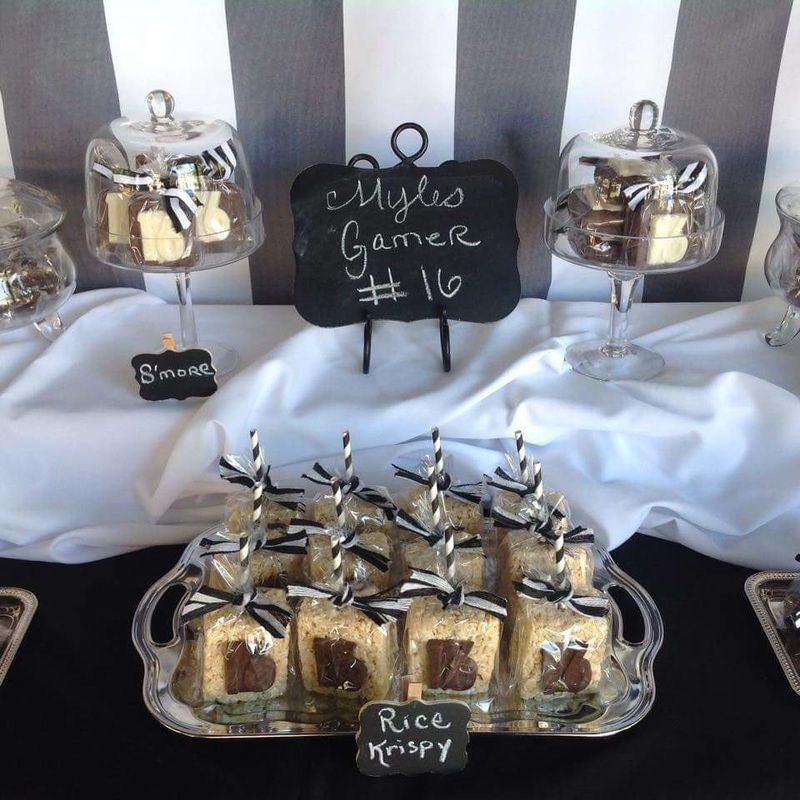 Ultimate Party #3- Graham Crackers, Cinnamon Graham Crackers, chocolate Chip Cookies, Oreo Cookies, Hersey's Milk Chocolate, Hersey's White Chocolate, Reese's peanut butter cups, regular and Chocolate Marshmallows, and Vanilla Ice Cream ..$7.25 pp . Payment in full is required to reserve cart. 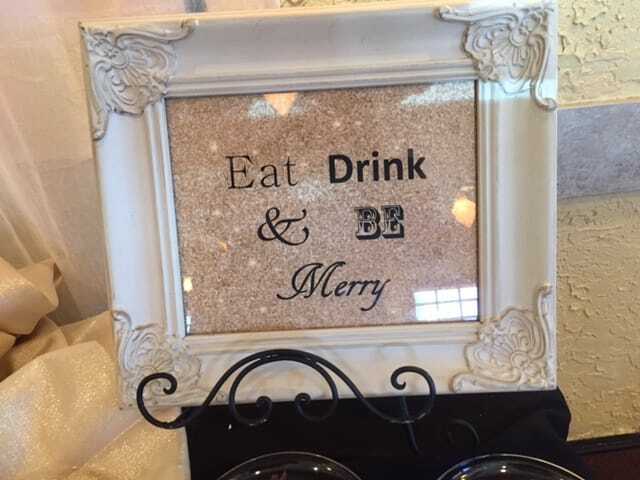 4 Hour rental unless additional hours are added. 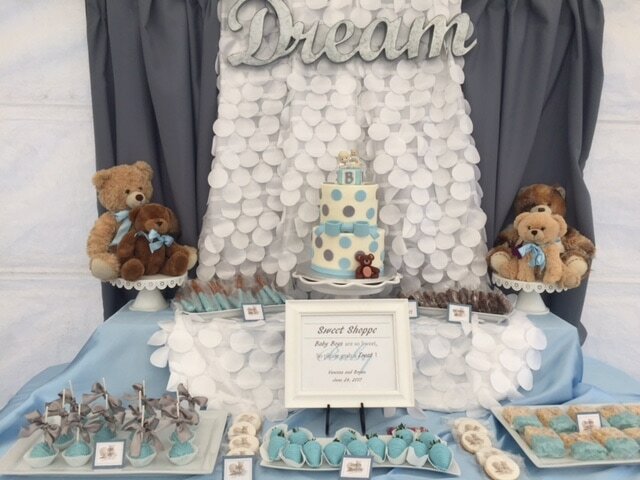 All Parties services must be cancelled two weeks prior to event or product reduced within 72 business hours of delivery date to avoid 50% restocking fee.